Nokia has been incredibly quiet about JobLens since unveiling the app at Mobile World Congress in February. 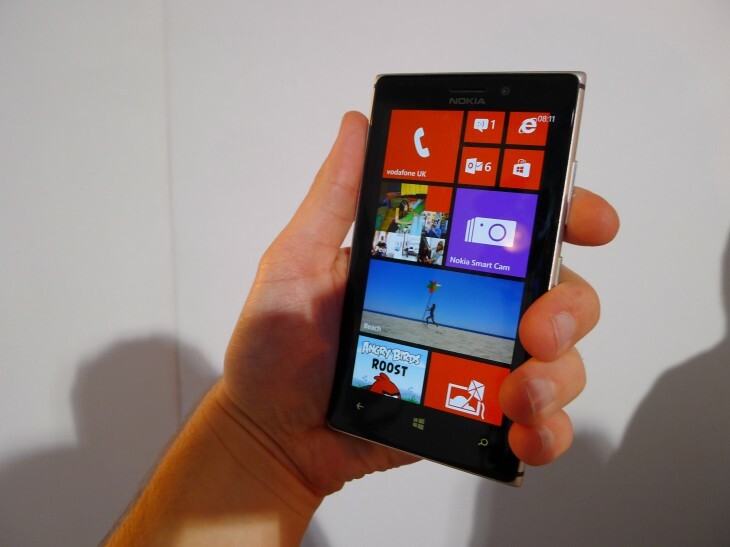 The software suddenly appeared at the company’s Lumia 925 launch event in London last month, but today it’s been officially released in North America. The app, spotted by Engadget, is supported on any Nokia Lumia handset running Windows Phone 8 and is available right now in the Windows Phone store. It leverages the handset’s built-in camera, as well as Nokia Maps, to serve up a number of job openings based on the user’s location. 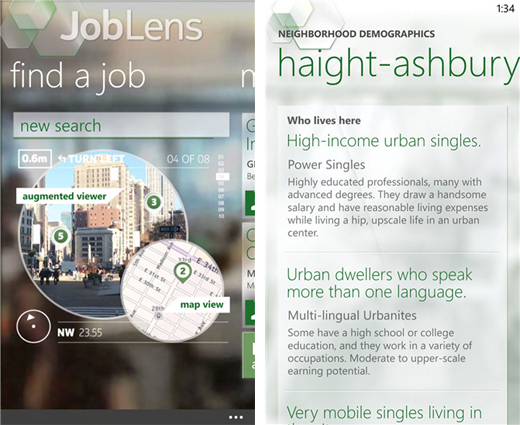 The augmented reality is similar to Nokia’s rather novel City Lens app, and should help out jobseekers patrolling their neighborhood with a pile of resumes. This ‘Jobs Near Me’ feature is also rather unique because it personalizes the user’s job search based on their social connections – such as LinkedIn and Facebook – and automatically geo-tags the relevant listings for more accurate results. After all, if you’re interested in being a graphic designer, seeing dozens of openings for a chef in your local high street isn’t very helpful. The app integrates Indeed, a major search engine for jobs, as well as Salary.com to check pay scales and Zillow for neighborhood demographics. JobLens also includes a ‘Get You There’ feature that provides the user with turn-by-turn directions to make sure they hit their job interview on time. Few app developers have targeted jobseekers in this manner and at first glance, it’s hard to argue why this is better than simply looking for new vacancies on the Web. Nokia is combating this with push notifications, which recommend openings based on the user’s profile and search history. It takes out all of the heavy lifting, and becomes a compelling service when combined with the ability to pin jobs to the Start Screen using Live Tiles, share jobs with friends and store resumes in SkyDrive. There’s no word on when the app is being launched outside of North America, but we expect it’s only a matter of time. As always, Nokia appears to be single-handedly propping up the Windows Phone 8 app ecosystem, which is commendable at the very least.